Scottish birth certificates will be created from the birth records which were transcribed shortly after the event took place. Official records have been kept since January 1st, 1855, in contrast to England and Wales where registration began in 1837. 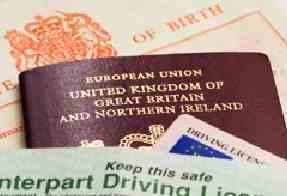 Modern civil registration in Scotland records the information electronically, and the information is printed on an A4 sheet of paper, in portrait layout, when a new birth certificate is issued. Prior to this, however, all events (births, deaths and marriages) in Scotland would have been recorded by hand into a register volume, larger than A4, and arranged in a landscape template. A Scottish birth certificate for an earlier event will be printed from this information. No. - This is a sequential number in each volume assigned to each certificate. Name and Surname - Full name of the infant. When and Where Born - Time and location of birth. Name, Surname and Rank or Profession of Father - If the birth was illegitimate, there may be no information listed for the father. If the profession is listed as 'master', then the person may have employed people, and had their own business. If an apprenticeship had been served, but the father worked for someone else, then they may have been listed as a 'journeyman'. Name and Maiden Name of Mother - the maiden surname may be noted as M.S. Date and Place of Marriage - the place where the parents were married. This should refer to the registration district. Residence if out of the House in which Birth Occurred. When and Where registered, and Signature of Registrar. This is will be signed and dated by the Registrar of Births for that region.